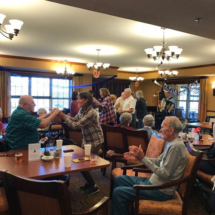 Recent fun at Oak Park Senior Living included celebrating Oktoberfest and a performance from a’Choir’d Harmony Community Choir. 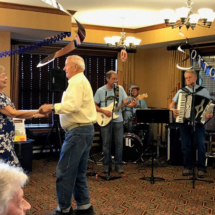 Oak Park Senior Living celebrated Oktoberfest on Friday, Sept. 28th. 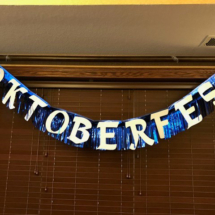 We started out the festivities with an authentic German meal prepared by Chef Joel and his wonderful staff. 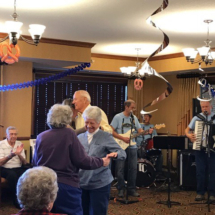 In the afternoon, the Squires Band came to entertain us with Oktoberfest music. 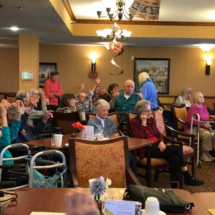 As you can see from the pictures, everyone had a great time singing and clapping along. 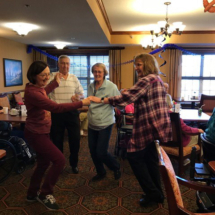 There were quite a few residents up on their feet and dancing! 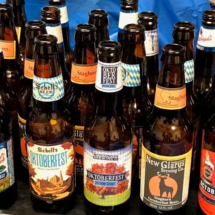 Of course, what would an Oktoberfest celebration be without beer? 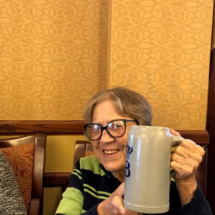 Residents enjoyed sampling a variety of specially brewed Oktoberfest beer. 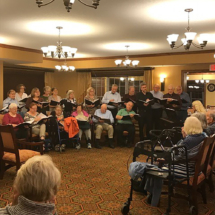 Last night the a’Choir’d Harmony Community Choir stopped by Oak Park Senior Living to share their “Swingin’ Thru the Years” concert. 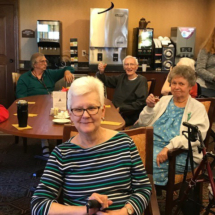 Residents enjoyed music from the 1920s through today. 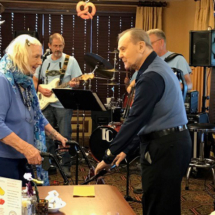 Songs included hits from Irving Berling, Glen Miller, Dean Martin, and Michael Buble. 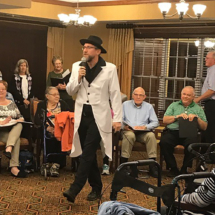 The highlight of the evening was Cab Calloway’s “Minnie the Moocher,” complete with the soloist in top hat and tails.